But to get my skin clear I needed something that would have a texture yet still would be non abrasive... 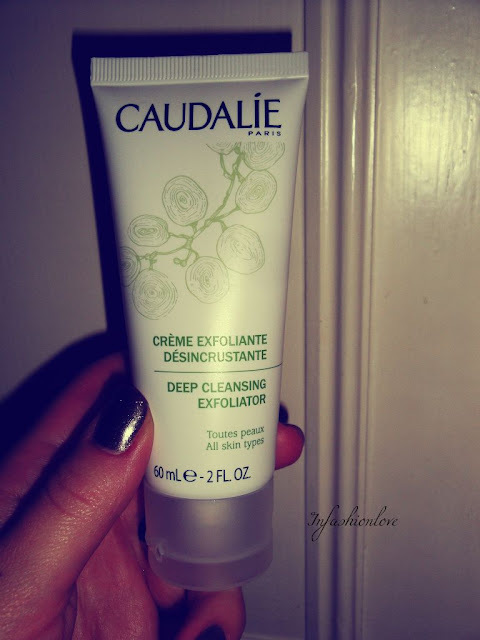 This Caudalie Deep Cleansing Exfoliator is amazing! I use this facial scrub no more than once a week, and already after the first time I could see a big difference, the little bumps were gone, and my skin looked smooth and clear next morning... It's very gentle even though it has a nice texture that helps to massage the skin and unblock pores... Of course keep in mind if you have active blemishes or acne break out you should stay away from scrubs... Do not use facial scrubs on broken skin as it only would irritate it further... But for things like unblocking pores, getting rid of flakiness and dead skin cells to reveal revitalised and fresh looking skin, it's fantastic!